Our uPVC windows each benefit from a completely uninterrupted rebate gasket, which provides extra resistance against unpredictable weather. It also works to keep out unwanted draughts and acts as an external noise barrier. Each uPVC window has a gearing function that is constructed using the state of the art UNI-JET gearing within the profile. 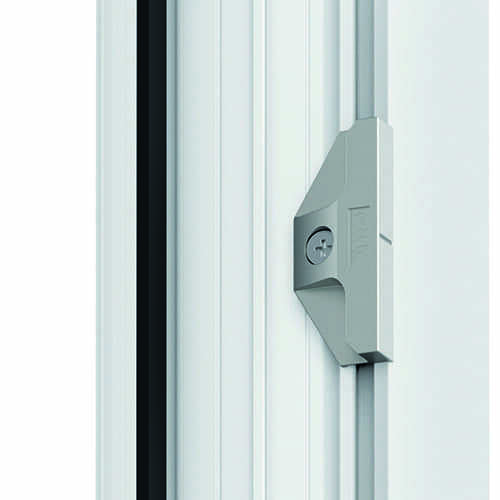 This provides added security for the windows of your home, as well as a smarter finish than the previously used face-fix gearing. Our uPVC windows are incredibly efficient when it comes to heating your home and are the number one choice if you’re looking to save money on heating bills. Each window achieves an ‘A’ energy rating as standard, so you can rest assured that your property will be a warmly welcoming place to come home to. uPVC is one of the most resilient materials in the construction of windows, being both low maintenance and corrosion resistant. 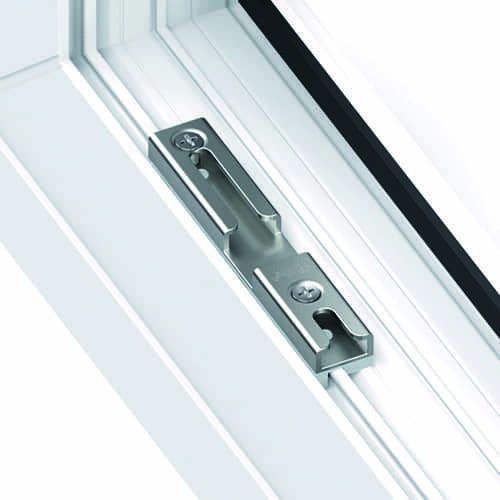 All of our tilt and turn windows also include the FerGUard silver surface coated hardware, which ensures each window is protected against the elements for the foreseeable future. uPVC tilt and turn windows in Norwich allow as little or as much air into a room as required as they are all designed with inward opening ’tilt-only’ position. This window feature allows consistent ventilation to your property without compromising on the security or safety levels of your home. Our innovative uPVC tilt and turn windows in Norwich offer contemporary designs, denoted by their simple, clean lines, combining unified hardware and succinct detailing. Instantly refresh the appearance of your property. Windows Plus UK Ltd offers a stunningly beautiful range of uPVC tilt and turn windows in Norwich, Norfolk and the surrounding areas. uPVC tilt and turn windows provide innovative functionality, exceptional security as well as a modern and sleek appearance. uPVC windows from Windows Plus have attractive features and simplistic beauty, as well as offering energy efficiency, durability and easy cleaning. 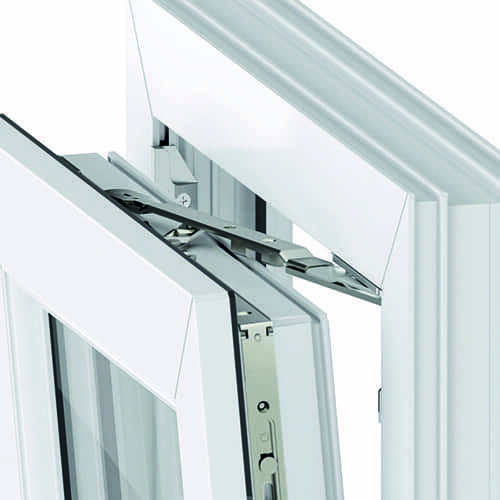 Our uPVC tilt and turn windows have many features and benefits. 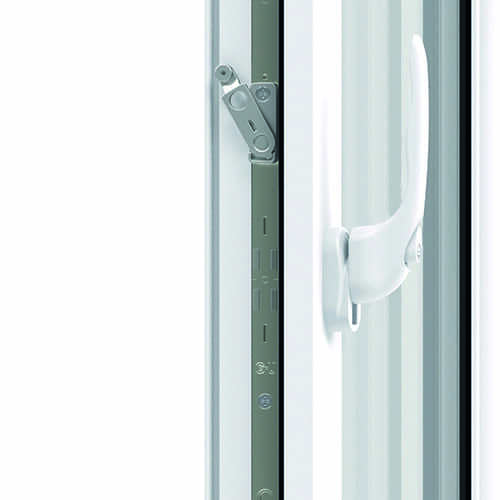 Tilt and turn windows are a revolutionary design combining style with excellent practicality. Our exquisite range is available across Norwich, Norfolk and Suffolk, from Eaton to Trouse, from Wroxham to Brundall, throughout Broadland, North Norfolk and the Norfolk/Suffolk border. All of our uPVC windows offer simple, clean lines, ensuring they are equally as aesthetically pleasing on both the interior and exterior of your property. The tilt and turn design usually consists of an individual expanse of double glazing that is usually larger than average. Together with the slim profile frame, these stylish windows offer a sleek, minimalist aesthetic that works just as well in traditional and contemporary homes in Norfolk. The slim frames that only surround the outer perimeter of the aperture, without frames crossing the double glazed sealed unit, provide unrestricted views of the outside which offer an increased sense of spaciousness that can open up any room. You’ll benefit from an influx of natural sunlight that has the power to enhance your living environment. Our tilt and turn windows utilise an innovative design that allows for dual functionality. 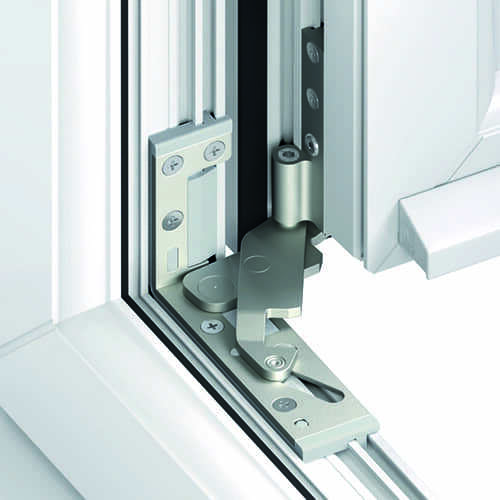 As the name suggests, the ingenious, integrated gearing systems enable the window to open in two very different and distinct ways, with just a simple turn of the handle. 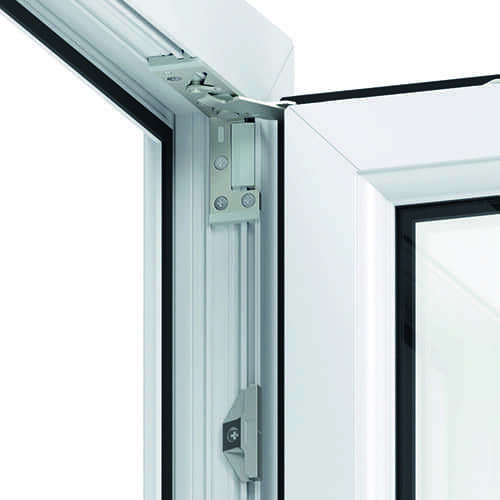 With a quarter turn of the handle, the window sash will open along the top edge but is restricted to a small angle of opening. Perfect for ground floor apertures and bungalows where secure ventilation is required and also to ensure the safety of children and pets for upper floor windows. A further quarter turn of the handle and the window sash will open along the vertical edge to a full 90° angle. This smart feature has many benefits which include maximum ventilation, an alternative emergency exit as well as easy access to the exterior sash for cleaning. Our UPVC windows are the perfect choice of replacement windows because they allow fresh air into your Norwich property without concerns about security compromises. By having your windows open only minimally, the benefits of increased ventilation does not make your open ’tilted’ window a convenient access point. Each window is fitted with a Yale lock system, so you can be confident that the security of your windows is in good hands. For full security specification, please see our product brochures. The ‘turn’ function on our uPVC windows was designed with the ease of cleaning in mind. Its 90° turn means that the exterior of the window can be easily cleaned from inside your property. This is a beneficial feature for anyone, but particularly useful for those residing in high-rise properties. It also means that your windows can be sparkling clean no matter the weather. Design your perfect windows and receive a tailored price in moments with our easy to use quote engine. 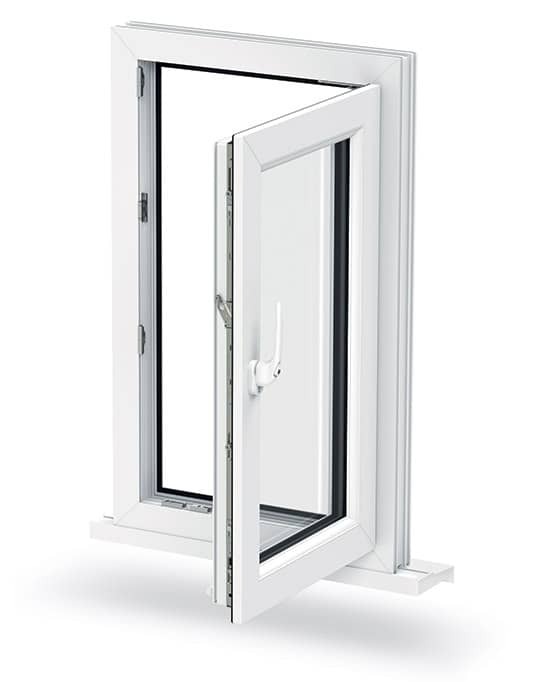 Alternatively, you can contact Windows Plus for uPVC tilt and turn windows prices in Norwich and Norfolk through our online contact form or by calling 01603 438 886.